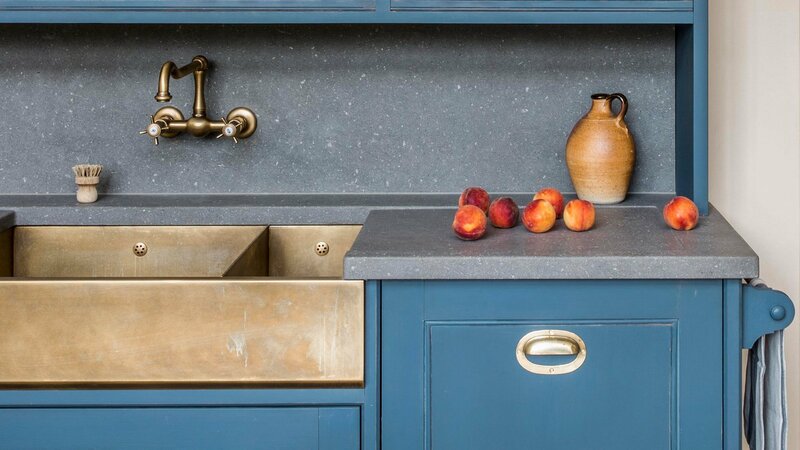 Our client’s brief was to create an authentic, historic Victorian kitchen that felt of a piece with the original house. The kitchen would share a new extension to their Queen Anne house with a dining room, which itself led through to a new opening into the family sitting room. In the Victorian period, many houses were modernised to take into account advances in kitchen technology at the time. 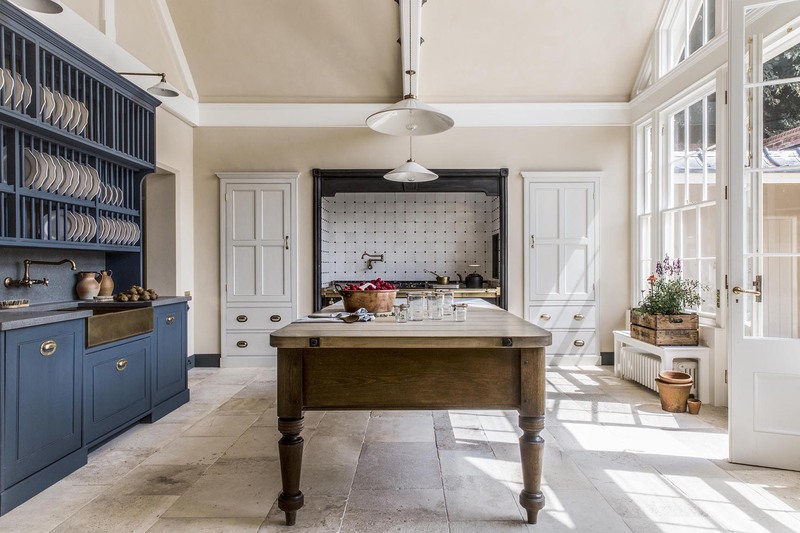 There are great examples around the country where buildings were specifically designed to house kitchens to support the needs of a country house. 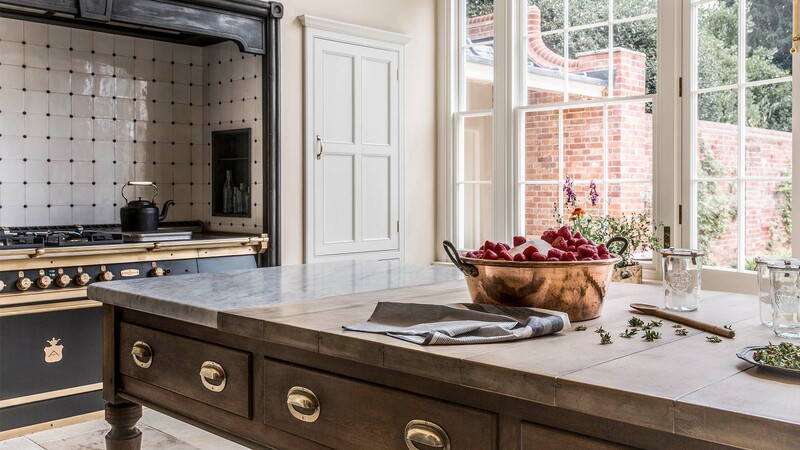 To enhance the impression that this kitchen was built in the Victorian period, we integrated as much furniture into the architecture as possible by offsetting walls to form chimney recesses for the cooking range, with built in furniture which mimics joinery made in situ by an estate joiner. We drew ideas from Lanhydrock House, an excellent example of a Victorian refurbishment of an older building, where the domestic utility rooms in particular were designed and made to exacting standards. Of course, the coal fired range has been superseded, so we sought an alternative that was aesthetically sympathetic and functionally capable. We found perfect form and function in a range from Florentine firm Officine Gullo. In other places modern functions are disguised by accurate period features: one leg of the preparation table is hollowed out as a conduit for cables. Isolation switches are hidden in a recess beside the range. 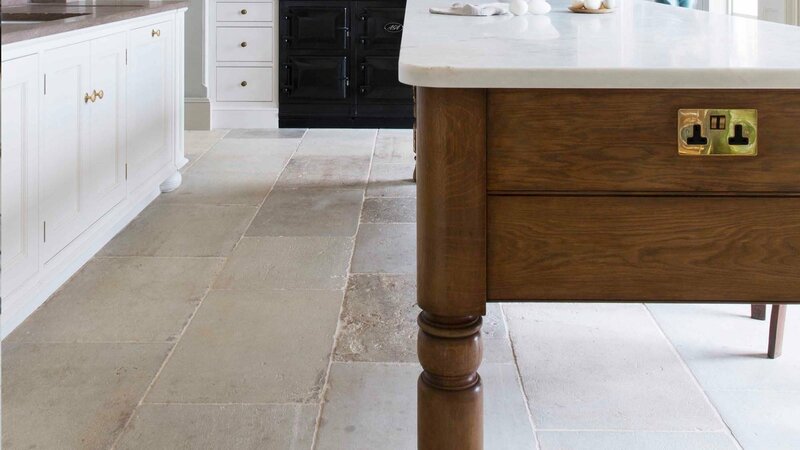 The floor is of reclaimed French limestone. The pair of dressers are of Siberian larch; the nearest modern equivalent to Deal. The cabinetry glass is hand drawn. 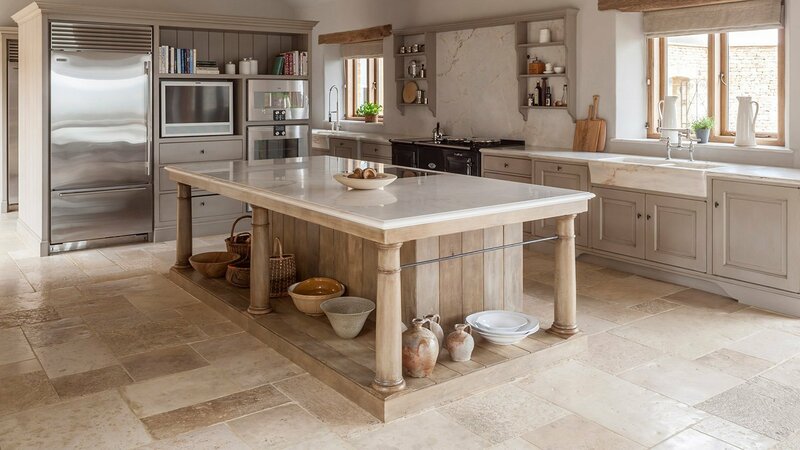 The preparation table has two work surfaces – one of Carrara marble, one of tight-grained solid sycamore. 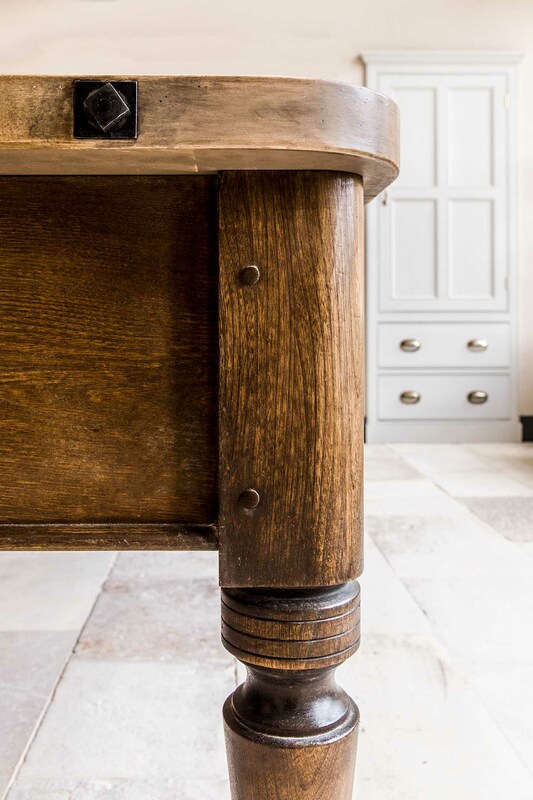 All of its timber elements were subject to Artichoke’s specialist finish and their patina is historically accurate. 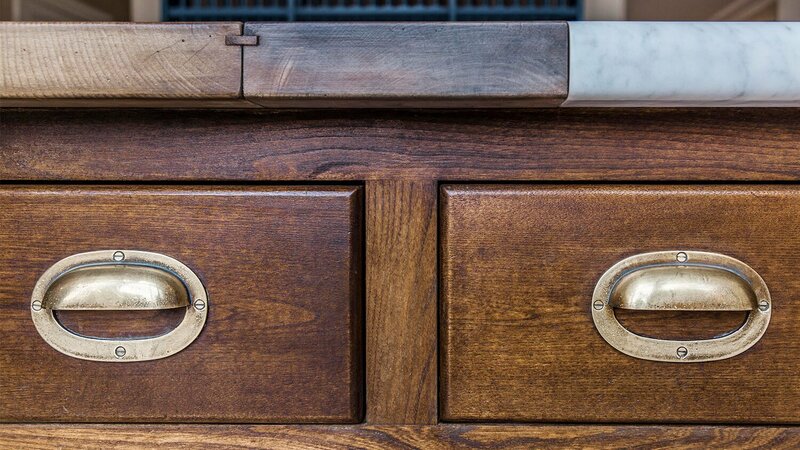 We went to the lengths of creating timber formers for the mantle frame surrounding the range cooker, which we then had cast by a foundry in the Midlands. 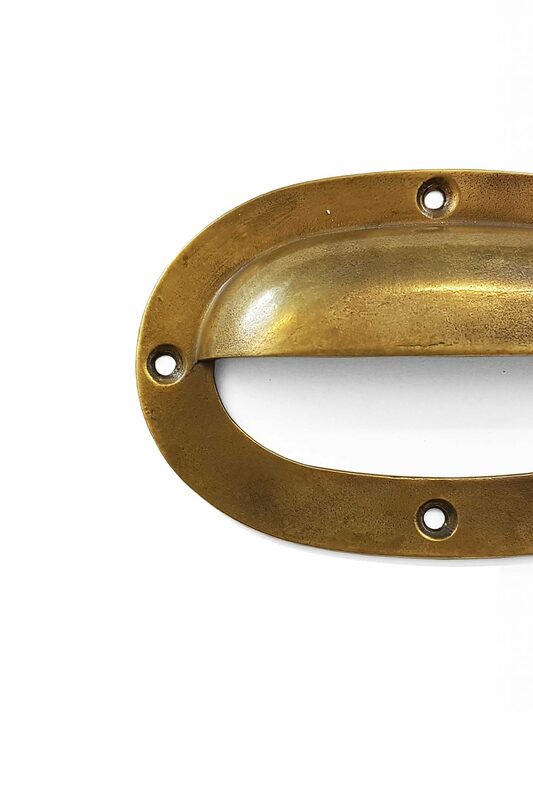 Furthermore, the brass pull handles (which as far as we know are unique to Lanhydrock) were accurately copied by us in boxwood and cast using the lost wax technique. 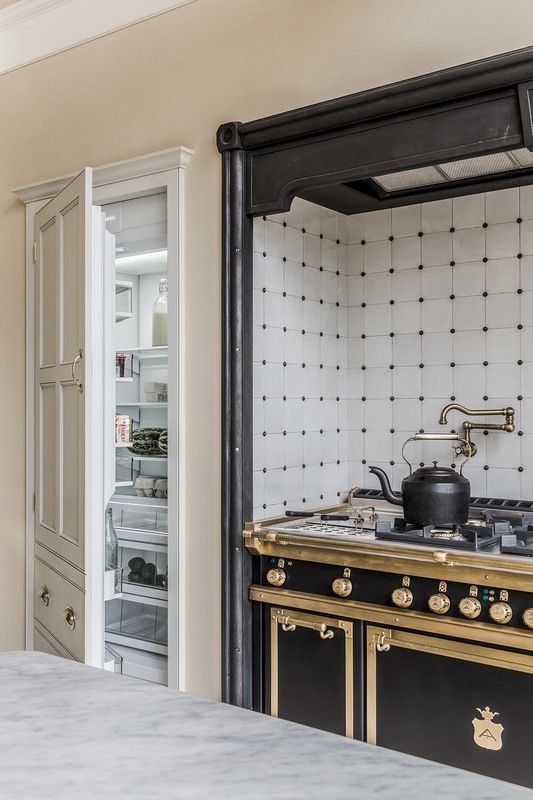 An intentional pastiche of Victorian domesticity that disguises the functional necessities of a modern family kitchen. The effect is to add an enduring narrative layer to the house. 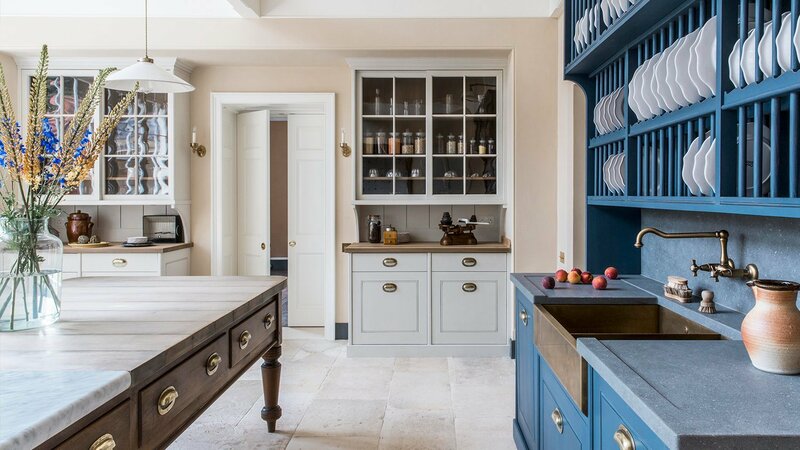 A more in depth editorial feature on this kitchen by Country Life Magazine can be read here.